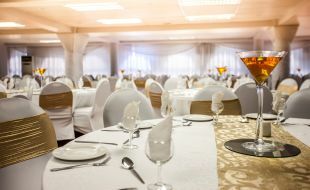 If you're looking for a unique wedding venue in Pietermaritzburg with a great vibe, look no further. Golden Horse Conference Centre has a stunning package to host your dream wedding. We can also tailor make a package just for you based on your needs, taste and preference. Wedding guests will receive a highly preferential rate for accommodation. To book please call +27 33 395 8313 / 8056 or email sanele.luvuno@tsogosun.com. Kindly note that any additional requirements i.e. Entertainment which do not form part of this package will be for your own cost and supplied by a 3rd party vendor.